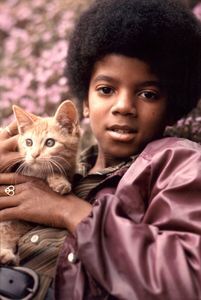 This month, Animal Planet will air a special feature on the close relationship between Michael Jackson and his once-confidante, Bubbles. 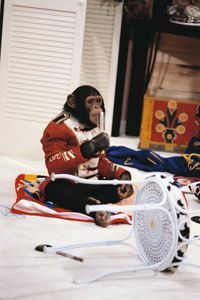 Bubbles became the world's most famous chimpanzee after accompanying Michael Jackson on his meteoric rise to the top, but subsequently disappeared from the public eye in the mid 90s. MICHAEL JACKSON AND BUBBLES - THE UNTOLD STORY chronicles the unseen footage and untold stories of Michael Jackson and Bubbles, revealed through those who witnessed their friendship throughout the years. When millions of mourners flocked to Michael Jackson's memorial service in July 2009, the world reflected on all the eccentricities of a creative genius. He lived his life in the middle of a media circus, but found solace with an unlikely and trusted companion - a chimpanzee named Bubbles. The chimp became the world's most famous pet, and for six years they were inseparable. Bubbles joined Michael on his 1987 'Bad' tour of Japan and on other trips around the world. 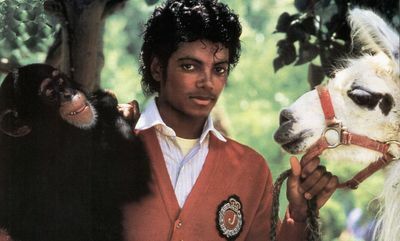 Their lives seemed to mirror each other: Michael Jackson the man who never had a childhood and Bubbles, the chimp who grew up almost human. 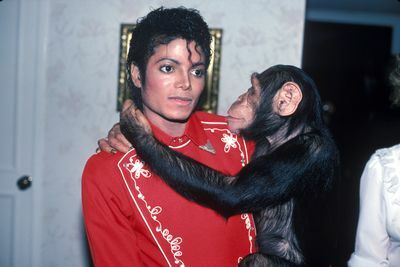 With all the discussion surrounding the shocking death of Michael Jackson, people wondered whatever happened to his beloved chimpanzee, Bubbles. This revealing story talks to those who witnessed the relationship first hand, including Michael Jackson's sister La Toya Jackson, and explores the complex psychology behind Michael Jackson's devotion to his chimp and other animals. It also highlights the path Bubbles' life took once he hit adolescence and when the celebrity could no longer care for him, to where he is now more than 20 years later. 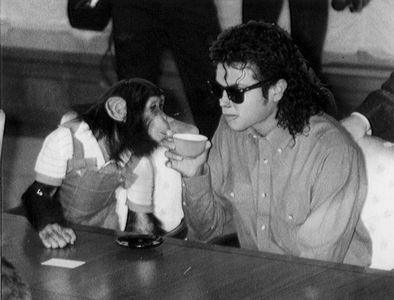 Join us for an exclusive feature on the touching friendship between Michael Jackson and his pet and confidante, Bubbles the chimp.